ClarisHealth | Does Your Health Plan Even A.I.? 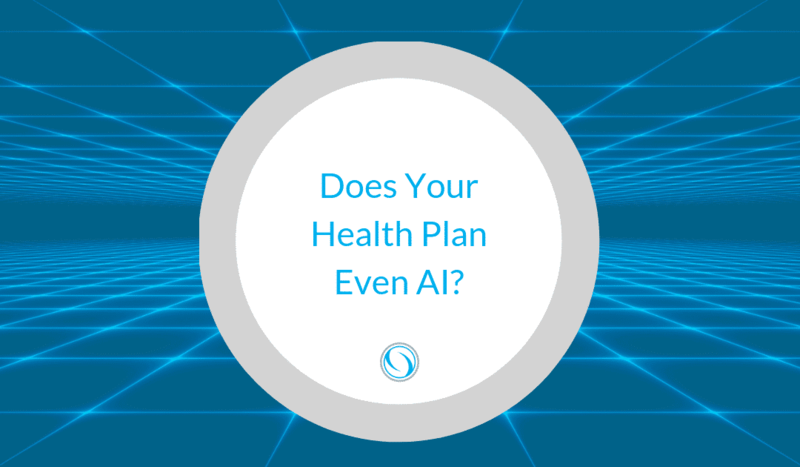 Does Your Health Plan Even A.I.? Artificial Intelligence was a much-hyped “trend” for healthcare technology in 2018 but adoption waned. Here’s what AI is — and isn’t — and why it’s crucial in 2019. When IBM Watson, the AI supercomputer created by IBM, won Jeopardy! and then moved on to a career in healthcare (via Watson Health in 2015), the industry was abuzz with possibilities. Sci-fi speculation ran rampant and then, fell flat, when in 2017 it was revealed that IBM Watson wasn’t exceeding — or even meeting — expectations. AI capabilities were muddied by the hype, and adoption of the technology was much slower than expected last year. Artificial Intelligence: Intelligence applied to a system with the goal of mirroring human logic and decision-making. AI is utilized for the purpose of successful knowledge acquisition and application, which it prioritizes over accuracy. AI simulates intelligence (the application of knowledge). It is a combination of technologies, comprised of machine learning and predictive analytics. Data Mining: Unstructured data that is collected, often for the purposes of data analytics. Predictive Analytics: Data that has been collected is utilized to try and predict behavior/outcomes (often called Data Science). To analyze data, it is routed into a report, at which point humans or artificial intelligence apply multiple factors to make predictions about expected outcomes. Predictive Analytics often implies that a machine has performed the analysis and offered a prediction (rather than a human). You might think that being a fax/email/spreadsheet organization means your health plan is woefully out of date, but you might not be as behind as you fear. While AI can offer much-needed technology advantages to health plans, it isn’t capable of solving all payment integrity problems on its own. If a technology vendor is touting its AI capabilities, it should be more than a “black box of mystery that speaks for itself.” You can and should deeply question and demand specific capabilities in regards to AI from a technology vendor. That said, AI is a crucial technology for health plans to adopt or expand upon within their organization. The mass amounts of data inherent in healthcare systems has presented a problem for the industry as a whole. With AI, data can be mined and utilized to harvest useful insights. Historical data can be loaded into the system, and utilized alongside real-time data for predictive analytics. Pareo® offers multiple applications for AI as part of a broader “one-source” system insight platform for health plans and payers. Despite IBM Watson falling short of expectation, we think AI technology will only continue to improve. At this stage, AI technologies may be more commonplace than you realize but the true abilities of artificial intelligence vary between technology vendors. The most powerful way to harness AI capabilities is when they are applied as part of a broader solution, as is the case with Pareo®.